The great majority of our pupils board at the College. We are a seven-day boarding school, with classes on Saturday mornings and a full set of events and activities over the weekends. Now find out more about boarding at St. Columba’s and explore our seven boarding houses. Boarding enhances independence and allows young people to make some of their own decisions. Boarders stay together in dormitories, where they learn to live with each other, appreciating each other’s differences, strengths and weaknesses. This is great preparation for life after school and in the workplace. Boarding creates very close bonds of friendship which often survive all through one’s life. Boarding gives maximum time for sports and activities, as time is not wasted in travelling to and fro. This means that parents do not need to spend excessive time in the car twice every day taking children to and from school and then to clubs and music lessons after school and at weekends. 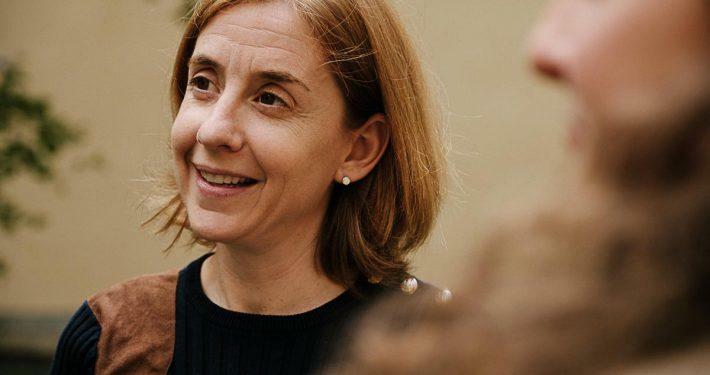 In many families both parents are working late throughout the week and time spent at home with children is often rushed and of limited quality. Children do all their academic work at school, in a supervised environment, rather than at home where there can be distractions from TV and computers and battles over how much work is being done. Don’t you like the idea of not fighting with your children over homework every evening? Why Board at St. Columba’s? Fundamental to our community at St Columba’s is our commitment to full boarding. We do have local day pupils, but over 80% of our pupils are seven-day boarders. 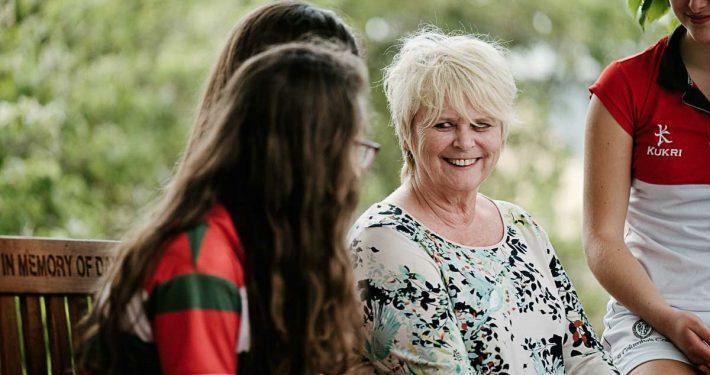 Visitors are quickly struck by the friendly atmosphere between staff and pupils, and among pupils themselves, and our small size ensures that all members of the College are known to each other. 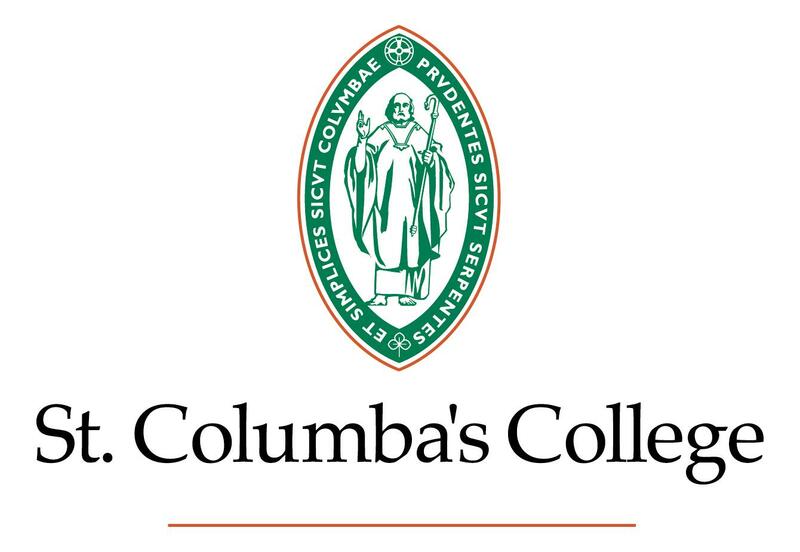 Columba’s does have day pupils but is fundamentally a boarding school. It is not a day school with a few boarders tacked on, with the majority of the school going home after school each day. Most Irish ‘boarding’ schools actually have a large majority of day pupils. Columba’s boarding is seven days a week, with Saturday school and chapel on Sunday. Boarders here are not left on their own if they stay in for the weekend since most of the boarders are in every Saturday night. Not just our boarding staff but the majority of all of our teaching staff live on site with their families, creating a unique sense of community throughout the week, in evenings and at weekends. Our boarding staff are all teachers, not separate staff or gap students. This means that our staff see their charges in all aspects of their lives, in the classroom and on the games field. Our facilities are excellent and the campus is very beautiful, with wonderful views of Dublin and on the edge of the Dublin Hills. The Beresford girls live in a beautiful Georgian building which was originally a family home. It is now the heartbeat of the College and known as the Main House. It is made up of the main staff area, offices, the boarding house itself as well as being right beside the Dining Hall! 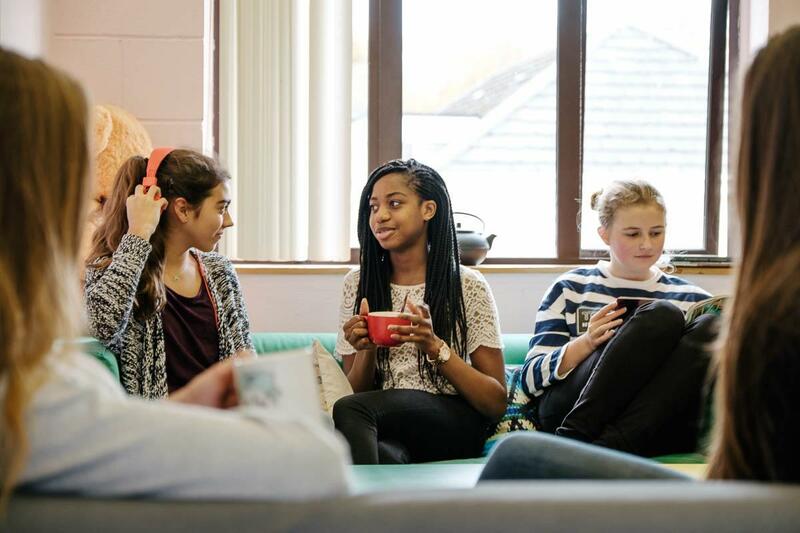 Beresford House provides a cosy homely atmosphere for the youngest girls in the College. Girls in Form Primary and Form I live here with a small group of about ten Form V and VI girls. The girls entering at this level make lasting friendships which last throughout their school days and beyond. The senior pupils play a vital role in helping to integrate the junior girls. Beresford accommodates about 30 girls in total and comprises boarders and day pupils as well as a diverse mix of nationalities. 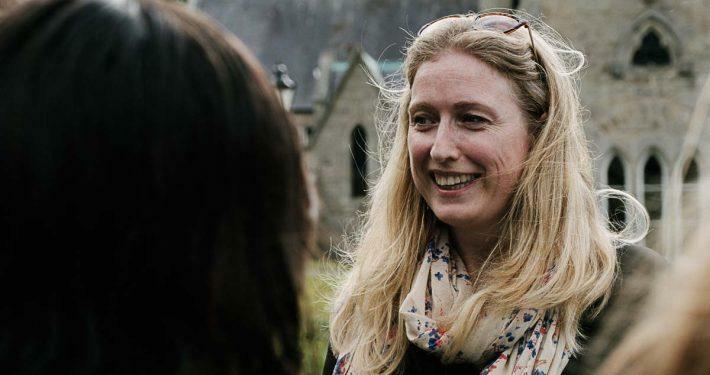 The Staff involved in Beresford House include the Housemistress Ms. Derarca Cullen, Assistant Housemistress Suzanne McEneaney and House Tutors Aoife Thompson and Cathy Boobbyer. The Beresford Head of House for 2018 / 2019 is Hanna Güelich (also a College Prefect). Glen is the oldest house in the College and is the largest boys’ boarding House, catering for pupils from Form II to Form VI. It is named after the Glen stream which flowed down from Kilmashogue Mountain through the school property. The House has had several homes through the decades in various buildings. In 2004 Glen was amalgamated with Grange and moved to its current location, the Grange building (which it shares with Hollypark House), and which also includes four classrooms. There are 52 beds in Glen in dorms of either two, four or six berths. There are four common rooms with kitchen facilities. Day boys have an area for their academic belongings and a changing and showering area for games. The House ‘hub’ area is a central point for informal meetings between boys and House staff where notices are posted, where Glen Artist-in-Residence pieces are displayed and where a cup of tea and a chat can be enjoyed of an evening. Glen is the current holder of the annual House Singing, House Football and House Rugby competitions. For the coming year Glen has identified homelessness as a pressing concern in Irish society and the boys have nominated the Peter McVerry Trust as their chosen charity. Our house motto, Lag Not in Zeal is taken from a Romans XII, a text read twice annually in the College – on the first day of the school year and on St. Columba’s Day. The Glen staff team currently comprises Mr. Ronan Swift (Housemaster), Mr. Barry Finn (Assistant Housemaster), Mr. Conor Horgan and Eunan McDonald (House Tutors). The Head of House for 2018 / 2019 is Rowan Sweeney with House Captains William Zitzmann, Grigory Kryukov and Tobias Onyeka-Patrick. Gwynn is a house that caters for senior boys (boarders, day pupils or day boarders) from Form II to Form VI. The house is named after the Reverend Gwynn who was the Chaplain and Acting Warden during his time at St.Columba’s. The house has been situated in a variety of locations over the years. In 2004 Gwynn boarders moved from Garden House to the Founders’ Building and the day pupils continued to use Garden house. From October 2017 day pupils and day boarders will be housed in the Masterman Library which is connected to Founders’. In the Masterman every day pupil or day boarder will have an area for their academic belongings and a changing and showering area for games. Gwynn is a very traditional boarding environment with five dorms, each with 5 beds. The dorms are spacious and every boy has a work space with ample storage for clothing, books & belongings. Generally, each dorm contains pupils from the same Form. There is one common room in the house with kitchen facilities and a kitchenette for the senior pupils at the senior end of the house. The common room is used by all forms. It is used for house meetings, celebrating birthdays, watching TV and chilling out. All of the pupils in the house regardless of form get to know each other very well. There is a very friendly and homely feel to Gwynn as it is smaller than some of the other houses. 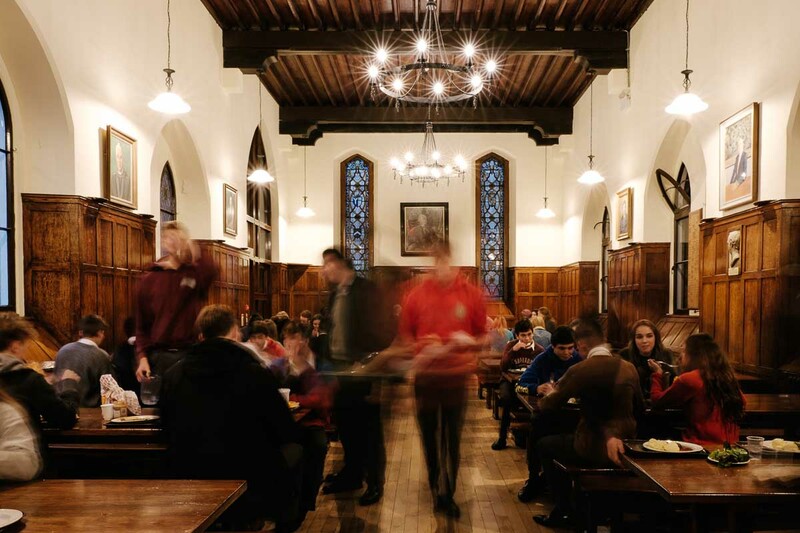 Day pupils and day boarders are encouraged to spend time in the boarding house and many enjoy staying late on Saturday evenings to socialise. For the coming year Gwynn has chosen Arc Cancer Support as their charity. Every year the Gwynn boys help to help pack gift wrapped shoeboxes with toys, sweets and gifts for children in Africa and Eastern Europe. E is for Effort – every 2 weeks or so every pupil gets an effort mark in every subject. We urge pupils to develop a work ethic. The Gwynn staff team currently comprises Mr. Paul Cron (Housemaster), Mr. Humphrey Jones (Assistant Housemaster), Mr. Peter McCarthy (House Tutors). The Head of House for 2018 / 2019 is Toby Green (also a College Prefect). The name Stackallan resonates with the very origin of our unique pioneering school St.Columba’s College in 1843 and its original location in Stackallan House located in the north of County Meath. The name Stackallan is derived from the Irish Teach Challáin, the house of Saint Callan. Saint Callan was an Irish saint of the sixth century, famed for having his adversaries turned into stones. This is not an ability the current house staff use for pastoral or disciplinary purposes! The College relocated to its current location in 1849. The ‘House system’ in its modern sense was introduced by Warden C.W.Sowby in 1934 and in 1939 a new boarding house called Stackallan was created. It was located in the Argyle building until 1973 when it moved into the Cadogan building. In 2006 during the most recent phase of College building, Stackallan House reversed the trend of westward movement and returned to the Argyle building. The House now occupies the Upper and Middle Argyle building right in the geographical heart and centre of the College. In real terms this means above the Dining Hall and close to Cloisters and Chapel, saving valuable walking minutes during the working day. Stackallan House currently is the home to 28 boarding pupils and ten day pupils. It has four house staff attached to it, all whom live on campus. It has a reputation for traditional values of honesty and integrity, and full involvement in all areas of college life: sport, music, drama and volunteering for charitable works. The House has had three Housemasters since 1955. N.H. Lush 1955-1980; N.F.D.Falkiner, 1980-1997; and L.J. Canning 1997 until now. He was a member of the House in a time bridging both previous Housemasters, both of whom had formidable reputations as effective and caring Housemasters and were well-respected by their charges. 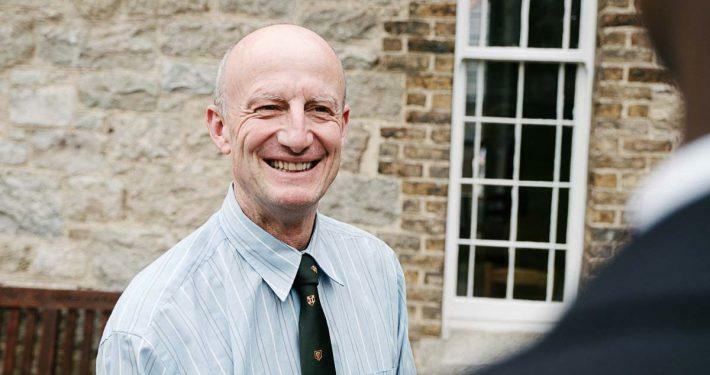 Mr. Liam Canning has been the Housemaster of Stackallan since 1997. He lives on the college grounds with his wife Lyn and his two children Ross and Hollie, who both attended the College. He spent his formative years growing up in Asia and Africa in the school holidays and boarding in Headfort school, Kells, Co.Meath 1973-78 and then in Stackallan House in St Columba’s College 1978-82. 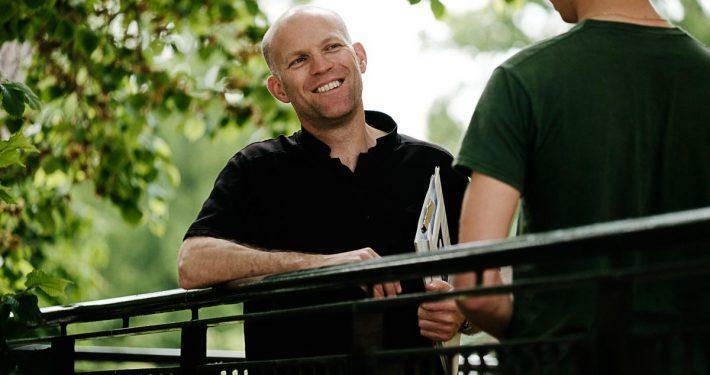 He graduated from Dublin University, Trinity College and teaches English. He is also Director of Sport in the College and master in charge of cricket. 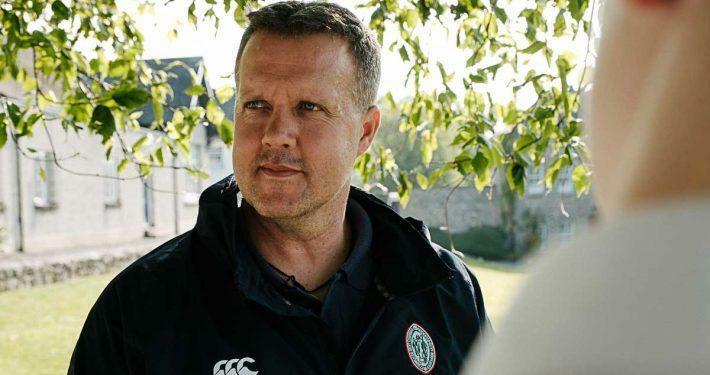 He loves all sport and played international hockey for Ireland from 1986 to 1995. He enjoys reading, coaching indoor hockey, watching sport and walking his dogs. Mr. Michael O’Shaughnessy grew up near Bray in north Wicklow. He is the Assistant Housemaster of Stackallan House. He attended Downside School in Somerset from 1983-88 and then studied Modern Languages at Hertford College, Oxford. He moved from London to St Columba’s in 2008. He is Head of Modern Languages (teaching French and Spanish) and Head of Careers. In his spare time he enjoys running (slowly), reading, travelling and gardening. Mr. Keith Ryan is the resident House Tutor of Stackallan. He joined the College in 2017 and is a member of our Learning Support Department. Mr. Patrick Tice joins the Stackallan team this year, as a House Tutor, and will teach some English and Classical Studies. He is a past pupil of the College and a former member of Stackallan House. The Head of House for 2019 / 2019 is Ben Gleeson, also a College Prefect. Named after the original main building on campus (where it was first situated), Hollypark is the oldest and largest of our girls’ boarding houses. It moved to the Grange Building in 2004 and enjoys stunning views over the city. It comprises 12 dormitories, varying in size, housing 52 Form II – Form VI boarder girls. Each Form has their own common room complete with mini kitchen and there is plenty of communal space around the house for us all to get together for social events. Our day pupils are encouraged to become fully integrated into house life, sharing the common space with their peers while also enjoying their own dedicated facilities. Life within the House involves all forms mixing together with the older girls beingexcellent role models. We foster responsibility, acceptance and a caring atmosphere, which in turn provides a stimulating environment for the girls to learn. As a house we have chosen to support Crumlin Childrens’ Hospital as our House Charity in 2018-18. It is a charity the girls are all familiar with and have a personal affection towards. All money raised will be given directly to the Cystic Fibrosis Unit to support research and fund much-needed equipment for the team. The house team consists of Ms. Julie Robinson (Housemistress), Ms. Lorraine Harrahill (Assistant Housemistress), Ms. Lisa Lynch and Ms. Julie Harkin (House Tutors). The Head of House for 2018 / 2019 is Orla Conlon Batey. Iona is a boarding house for Senior Girls from Forms II to VI. Currently there are 46 girls in the house, both boardings, day boarders and day pupils. The house was established in 1994 with Mrs Sherwood appointed as the first housemistress. Iona is located in the Fellows Building, which once was home to the now defunct Grange Boarding House. Iona have chosen to support the Deaf and Dumb School in Sicuani, Peru (once visited by Mrs Sherwood) as their charity for this academic year. The school is run by two Carmelite nuns and receives no funding from government and are therefore totally depends on donations. Iona are also having a knitting club during activities, knitting hats and scarves for orphans in Eastern Europe. The Iona team consist of Mrs Donna Sherwood (Housemistress), Dr. Laura Rice (Assistant Housemistress), Mrs. Justyna O’Shaughnessy and Mrs. Clotilde de Frein (House Tutors). The Head of House for 2018 / 2019 is Helen Crampton, who also holds the position of Second Prefect. Tibradden House is located at the heart of the campus and is home to our youngest boys (Form I) with some old pupils acting as monitors, assisting the House Staff on a daily basis. 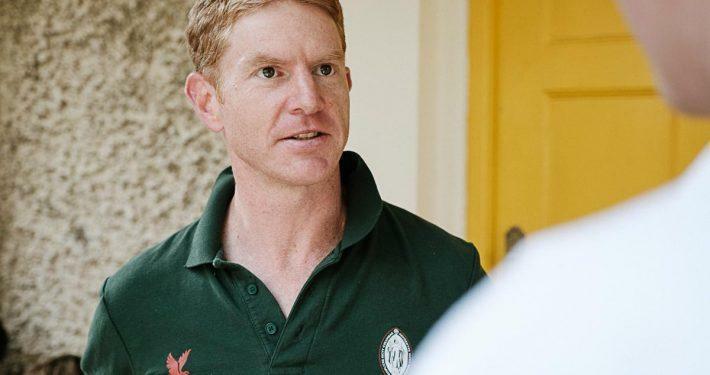 The Tibradden House staff consists of Mr. Scott Crombie (Housemaster), Mr. Sean Duffy (Assistant Housemaster), Mr. William Gibbs and Graham Glutz (House Tutors). Day pupils and day boarders are fully integrated into the different houses and participate fully in the life of the community (day boarders remain at school until the end of the evening study, and day pupils go home at about 5.30 pm). Many pupils who begin their time at the College as day pupils enjoy life here so much that they move in to board at a later date.